Former reality television star Jon Gosselin duped everyone for April Fools' Day in 2017. 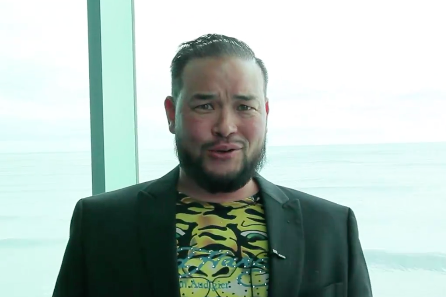 Were you looking forward to Jon Gosselin becoming a stripper in Atlantic City? Was anyone, really? The former star of "Jon & Kate Plus 8," who had seemingly found a way to finance the futures of those poor children, was actually executing a massive April Fools' Day prank when he revealed late last month that he intended collaborate with the "Untamed Male Revue" burlesque show at Caesars Atlantic City. Apparently, few people (us included) paused to consider the date of the show, or whether it actually involved full-on stripping. In a Facebook post on April 1, Gosselin explained that the whole promotion was an elaborate "social experiment" for a charitable party to celebrate his 40th birthday. A portion of the proceeds went to St. Jude's Children's Hospital. Gosselin rose to fame in 2007 on the TLC's over-the-top reality show, which chronicled his marriage to then-wife Kate Gosselin, with whom he had twins and a set of sextuplets in Pennsylvania. When the couple divorced, the show shifted focus to Kate's life as a single mother, airing for 10 seasons as Jon went on to become a DJ and promoter. "I'm glad planet Earth still cares about me," Gosselin said on Facebook, promising more to come in 2017. For those who forked over $40 to see the 40-year-old bare it all, it wasn't all a disappointment. Photos and a video obtained by The Daily Mail show Gosselin pole dancing while wearing a hula skirt at his party. That was probably better for everyone involved.